Toll Charges rise is set to be around 15-18% for trucks, buses and heavy motor vehicles. From October 1, toll charges at five entry points in the city will increase for heavy vehicles and buses. The increase will be around 15 per cent to 18 per cent in the toll amount for minibuses, light commercial vehicles, trucks, buses and heavy motor vehicles. However, light motor vehicles like cars and jeeps are spared from the hike. There are five entry points in the city namely Dahisar, Vashi, Airoli and two in Mulund at LBS Marg and Eastern Express Highway. The increased toll for heavy vehicles including trucks and buses is between Rs 20-30 and will be levied starting midnight of September 30. While toll charges for cars and jeeps will remain unchanged at Rs 35, the toll for light commercial vehicles will increase to Rs 55 from Rs 45. Further, the toll for trucks and buses would go up by Rs 15, from Rs 90 to Rs 105. For heavy motor vehicles, the revised rate will be Rs 135 from Rs 115. This development would also mean that public transport buses will have to pay the increased toll charges and this would be an additional burden on the Brihanmumbai Electric Supply & Transport, Maharashtra State Road Transport Corporation, Thane Municipal Transport, Navi Mumbai Municipal Transport, and Mira-Bhayander Municipal Transport as their bus services run through these toll nakas. “The toll is being increased for every category except cars and jeeps. The notification issued by the state government in 2002 allows revising the toll every three years. 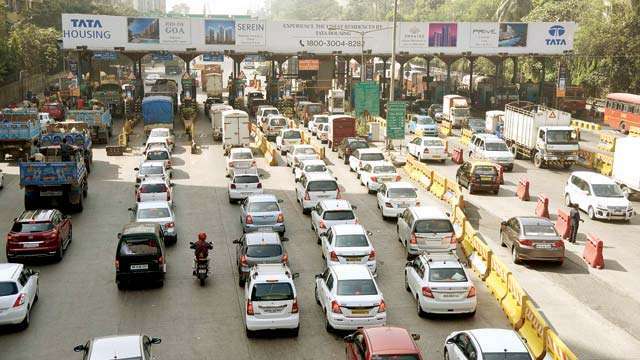 However, for cars and jeeps, the revision has been limited to every six years,” said, Jayant Mhaiskar, Managing Director, Mumbai Entry Points (MEP), toll collection agency.